Automotive announced the expansion of existing relationships with Renault, Fiat and Mazda. We will be supplying Renault’s electric vehicle Fluence with our factory fitted navigation product, including a real time charging station reservation feature. We will supply the new Mazda 3 and CRX-5 series with our solutions, of which the latter will be factory fitted. Fiat has announced that it will offer our integrated solution as an option on the new Panda. 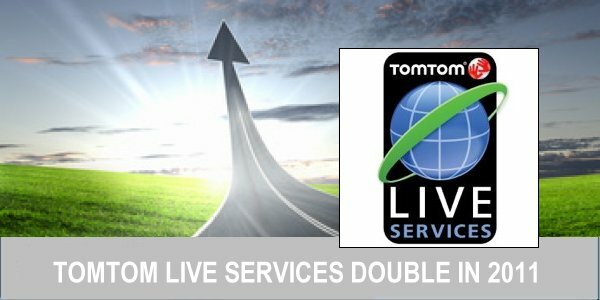 All solutions are connected and offer LIVE Services, including HD Traffic. Or one of the many, many, many, many, many other threads in which you write about it. IMHO TomTom's do not offer the best hardware (Garmin's do) but when it comes to routing, either based on historic/predictive data (IQ routes) or live data (HD traffic) there is nothing nearly as good as TomTom. Also I am very happy with the quality of their maps, but it seems to depend on the region which maps are more accurate: Navteq's or TomTom's. From what I hear Navteq maps are very good in the US, and TomTom/TeleAtlas maps to be more accurate in (mainland) Europe. For Asia I don't know. I've read a lot of news about TomTom updating maps of India and other Asian countries. As well as maps in South America. But I don't know how Navteq is doing over there. Personally I don't see much difference between Navteq and TomTom map data. TomTom do have a lead in IQ Routes and HD Traffic but neither of these leads will last long and there is nothing to stop Navteq's Traffic solution from being as effective. TomTom need to return to their roots and become more customer focussed. They also need some innovative product designs. Both areas have been neglected in recent years, due in no small part to becoming a public company and the unfortunately timed purchase of Tele Atlas.